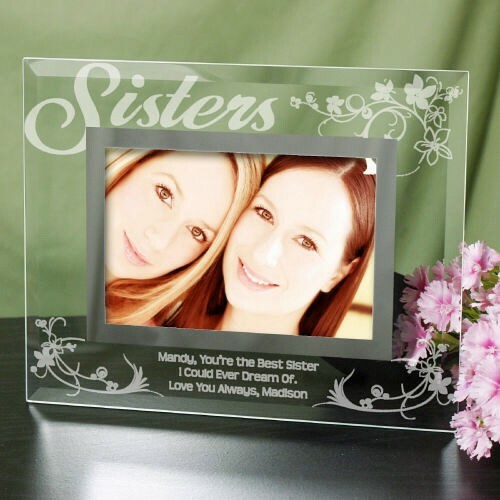 Personalized Engraved Sisters Glass Picture Frame. The love between sisters is immeasurable. Give your sister a Personalized Sister Picture Frame to display the love and friendship you have for one another. Be sure to include your favorite photograph as well to complete this one-of-a-kind Sister Gift.